Presently, the code CHASEUK will give 20% off any order (but might only work on UK orders?) until 29th June (thanks to Wulfgar for sharing the code). Lulu also has all the back issues of Oubliette along with a compilation edition of the first four issues. The Compilation of Issues 5-8 is almost finished, and I hope to order a proof copy by the end of the weekend. The Issue 8 PDF giveaway is going very well, with over 1,300 downloads in just over a week. Oubliette Issue 8 - OUT NOW! Download your copy of Oubliette Issue 8 from RPGNow.com, FREE for a limited time only! 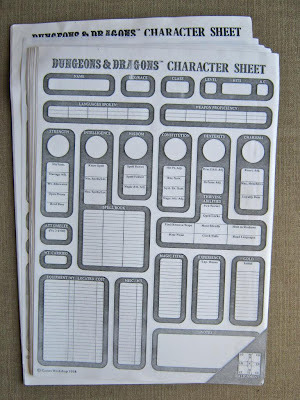 The Cheapest Character Sheets in the World? Following on from my last Character Sheet post the bidding on the 1978 shrink-wrapped pad of 50 sheets ended at £132 ($208). In 1978, Games Workshop sold them new for £1.50, giving the seller a return on the original investment of 8,700%!!! 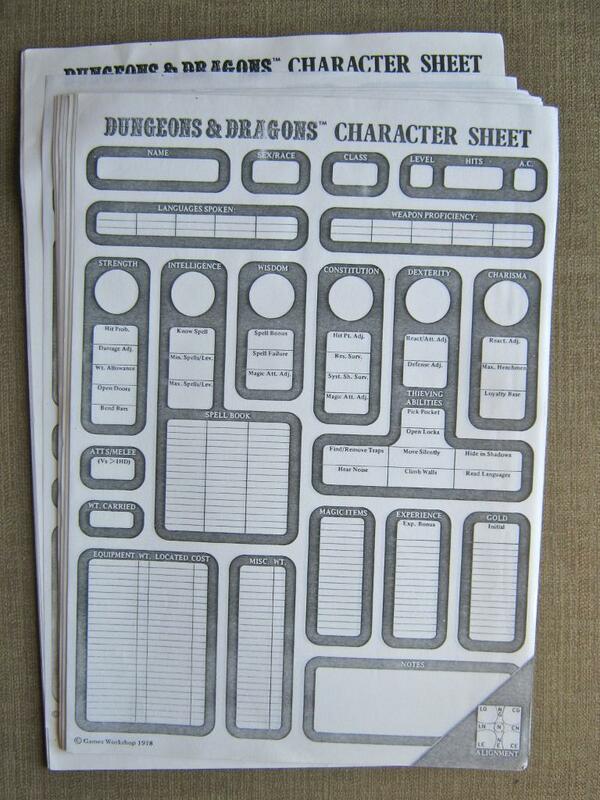 However, another bidder just manged to snag these Character Sheets for just 99p. They are actually photocopies of the same ones mentioned above. For my money, the fact that they are photocopies makes them even more Old School, as that's what most of my Character Sheets were back in the day. As soon as Oubliette 8 is out next week, I'll devote some more time to the Indiegogo Character Sheet Campaign. I'm going to include a bonus PDF with the sheets as well as a few additional printed materials. More details next week, but I will be sure to include a newly-created PDF version of this 1978 Sheet. 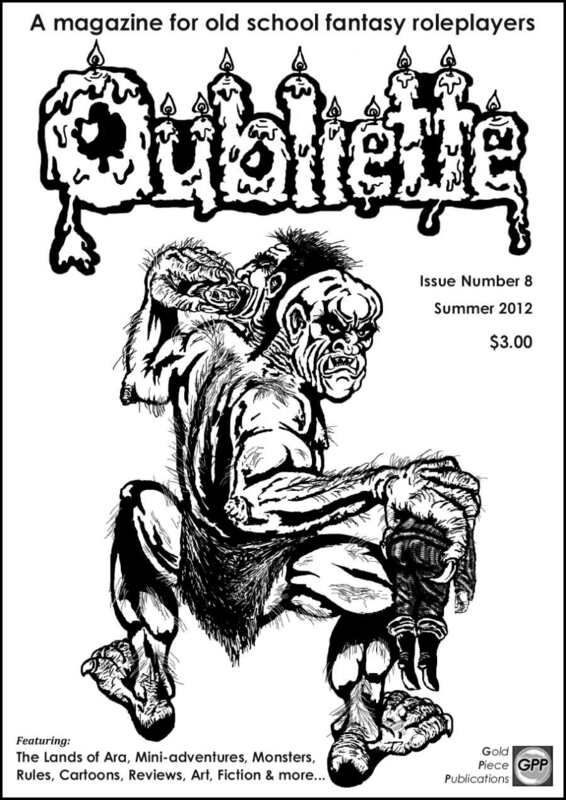 Oubliette Issue 8 for FREE! 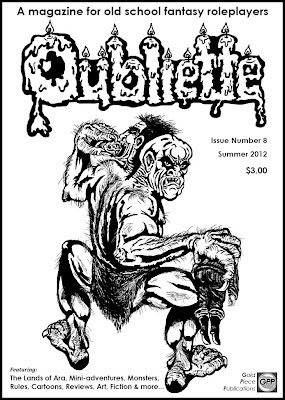 Issue 8 of Oubliette is one week away from publication. Following the terrific response we had to the giveaways of Issues 5, 6 & 7, Oubliette Issue 8 will also be available for a limited period as a free download from rpgnow.com. As soon as the Issue is released, I'll post the news here directly. The printed edition of Issue 8 will follow the PDF release once I get a proof copy to check. The Compilation of Issues 5-8 will take a little longer, as it requires some additional layout work over and above the single issues. We're in that last phase of preparing Oubliette Issue 8, and the team is bleary eyed and emotional. I keep smacking Pete on the back of his head shouting "Man up, soldier! Only a few more pages to go!" Actually, nothing of the sort happens. The last part of Oubliette is rather lonely. No more gags, no more flinging around anarchic ideas, just heads down, shoulder to the wheel and any other cliche for hard graft that comes to mind. Our proof reader extra-ordinaire has been infected with primary school coldy germs(care of his beloved granddaughter), but continues to make his eyes bleed, magnificently combing the pages for hideousness whilst honking loudly into a large hankie. Yesterday, I finished the last ever episode of Goblin Quest. I can't say I'm sorry. It's probably some of the most detailed cartooning work I've done, and no doubt I'll look back on it and make some fatuous comments of how "I did that", but right now, I'm just glad it's over. I love this mag, but the last part of it is like the end of a marathon. Except, that wall doesn't just appear, it continues to fall on me repeatedly, battering my enthusiasm. Alright, enough whinging Marg. Time to man up, soldier! Only a few more pages to go! Somebody, please smack the back of my head. Ouch. Thanks Pete. The Most Expensive Character Sheets in the World? 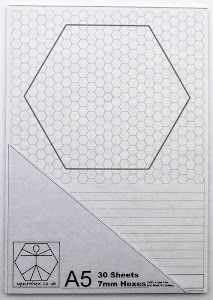 I don't know if these have already set a record high for a pad of Character Sheets, but at £114 ($180) plus shipping, they are certainly headed that way. If you are not prepared to spend quite so much on some Old School Character Sheets, why not head over to my Indiegogo Campaign and grab a pad for a fraction of the price? 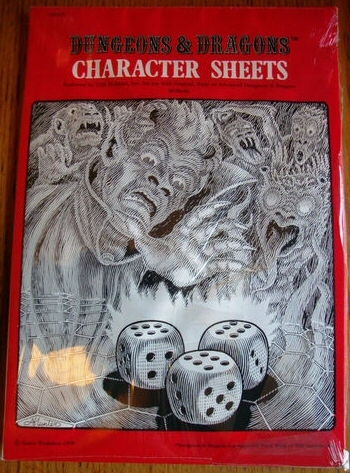 In fact, for $180 you can have 3,000 of my OSR Character Sheets. However, I can't guarantee they will bring quite the same rate of return should you decide to put them away for 34 years before listing them on ebay (if they did though, they would be worth over $6,000!). I always look forward to new developments in the OSR, but I think we are really heading for a great year with some of the projects already here. For a start we've got zines - lots of them - and more on the way. Even if some of them only last a few issues, they are a great testament to the health of our corner of the hobby. My go-to resource for anything to do with zines is the page Matthew Schmeer maintains on his blog Rended Press. We've also got some great crowd-funding projects. I'm in on the following ones at the moment (if I had more funds I'd go for lots more of them). Funding is finished on the first 2 campaigns in the list, and in the interests of full disclosure, that last one is my own campaign. Games Workshop are having a bit of a Space Sulk. They've got stuck into a guy because he sculpted some figures which were similar in 'style' to their own ranges, and then put them up as a digital files for fellow 3D printer owners to download and er ... print. Further details can be found on Wired.com. I've talked about 3D printers before, and although the technology still isn't quite ready for the consumer market, there is even less doubt that it is going to happen in the next 2-3 years. It might have been a lot early than that, but it now seems likely that consumer models will ship with an intergrated scanner unit which will be able to photocopy objects. Basically, you will be able to put a Space Marine (sorry "Future Soldier") into the machine, press copy and print out a few hundred of them. You can see why Games Workshop are worried, but it's ludicrous going after a fan who has uploaded a similar, but original design in the 'style' of one of their figures. The reality is, as soon as their customers get access to a 3D photocopier which can produce half-decent, cheap copies of their models, the Comany's current business model is finished. They might mitigate the damage by getting into the market themselves, where they could at least sell digital copies of their models. From my point of view, I don't want to print out loads of Games Workshop figures, or rip-off recent figures from Reaper, Otherworld, et al. However, I do have plenty of old out of production Asgard, Ral Partha and Grenadier minis which I would just love to able to make copies of. I'm busily working through layout of the next Issue, which should take me about another 7-10 days. I've still got a couple of reviews to write and Marg has got some art to finish. Once all that's done, we'll just have a couple of rounds of proofing to do. Upshot of all that is the magazine should be out mid-June. I'll put up a table of contents exactly one week before it's released. I'm also working on the printed edition of Issue 8 and a printed Compilation of Issues 5-8 which will be out a week or so after the PDF.